Tumoideachais i scoil lán-Ghaeilge déantar gnó na scoile ar fad trí mheán na Gaeilge. Múintear na ranganna trí Ghaeilge, bíonn cumarsáid idir an fhoireann as Gaeilge, déantar gnó an Bhoird Bainistíochta trí Ghaeilge agus spreagtar na páistí chun Gaeilge a labhairt eatarthu féin. Neartaíonn an scoil an pobal labhartha Gaeilge taobh istigh agus taobh amuigh de gheataí na scoile. Tá na scoileanna lán-Ghaeilge oscailte, fáiltiúil agus chuige sin tacaíonn siad le tuismitheoirí páirt a ghlacadh i saol na scoile trí imeachtaí éagsúla, ó ranganna Gaeilge go Coiste na dTuismitheoirí agus a lán eile. Oideachas den scoth a sholáthar do dhaltaí ár scoileanna. Forbairt iomlánaíoch na bpáistí a chothú agus a neartú. Tá taighde cuimsitheach déanta (MET, 1998) a chruthaíonn gurb é an modh is fearr teanga a shealbhú ná tríd an tumoideachas. Is é an córas tumoideachais amháin atá á chur i bhfeidhm i scoileanna an Fhorais. Ciallaíonn tumoideachas go ndéantar gach ábhar, gnó agus idirbheartaíocht sa scoil trí Ghaeilge. Ar an mbealach seo súitear isteach gach gné den teanga, rud a chiallaíonn go bhfuil sé ar chumas an dalta í a thuiscint agus í a labhairt i bhfad níos tapúla. Ní mhúintear Béarla go dtí an dara téarma sna Naíonáin Shinsir i scoileanna an Fhorais. Cruthaíonn taighde go ndéanann daltaí sa chóras seo níos fearr i scríobh agus i léamh an Bhéarla agus i léamh na Gaeilge ná an meán náisiúnta (Ó hAiniféin, (2007), Cloud, Genesee & Hamayan (2000) ). Cén fáth a roghnaítear oideachas lán-Ghaeilge? Tá sé fíor-thábhachtach dóibh go mbeidh Gaeilge ar a dtoil ag a bpáistí. Aithníonn siad go bhfaigheann an páiste léargas ar leith ar a c(h)ultúr féin agus ar chultúir eile. Cothaítear bród na bpáistí ina dteanga, ina gcultúr agus iontu féin. Ábaltacht na bpáistí labhairt, léamh agus scríobh i ndá theanga agus na buntáistí a théann leis sin. An t-oideachas den scoth a chuireann na scoileanna ar fáil do pháistí. Forbairt i bhféinmhuinín agus i bhféiniúlacht na bpáistí. Déanann siad níos fearr go hacadúil (Gallagher & Hanna, 2002). Éiríonn leo an tríú agus an ceathrú teanga a fhoghlaim níos éasca (Cenoz & Valencia 1994). Tuiscint agus oscailteacht do chultúir eile (Gallagher & Hanna, 2002). Feabhas ar fheidhmiú cognaíochta ó thaobh cruthaíochta agus ábaltacht cumarsáide de (Bialystok et al. 2005). Why Irish Medium Education & Immersion Education? Immersion education is the system of education of an Irish-Medium school. The benefits of Immersion education are recognised internationally. In Immersion education schools the pupils are immersed in Irish from their first day in school. The teacher will speak only Irish to the pupils until their second term in Senior Infants. This system has been proven worldwide to be the most effective for language acquisition. What is the model of immersion education used in schools under An Foras Pátrúnachta? The class teacher will speak and teach through Irish only to the pupils from the beginning of Naíonáin Bheaga (Junior Infants) until the Christmas break in Naíonáin Mhóra (Senior Infants). After the Christmas break, English is introduced to the curriculum, but until then, the children will only hear their teacher speak Irish to them. Comprehensive studies (MET, 1998) have found that the most effective method of acquiring a language is through immersion. It is policy in all schools under An Foras Pátrúnachta that immersion education is implemented and practised. The speaking of Irish by the teachers and students is central to what a Gaelscoil is. 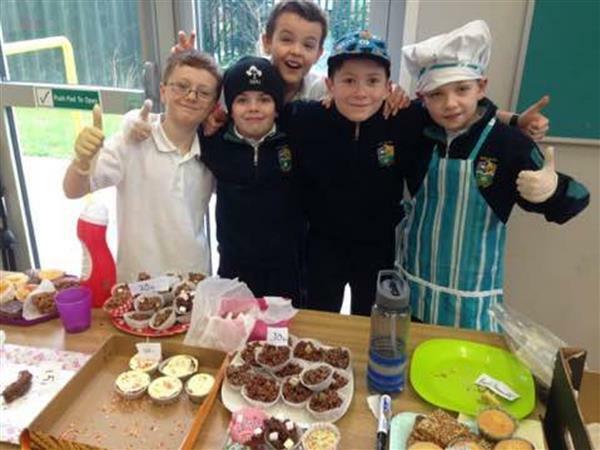 Encouragement and enticement is the most desirable way of promoting Irish in the school by use of strategies such as praise, prizes and rewards. This positive culture has contributed to the success and popularity of Gaelscoileanna. Why do parents choose an Irish-Medium School? It is extremely important to them that their children are fluent as Gaeilge. They recognise that children get a particular perspective on our culture and others. Due to the pride developed in children in their language, their culture and in themselves. An ability to speak, read and write fluently in two languages. The excellent education children receive in Irish medium schools. Raising of self-esteem and sense of identity. Cruthú níos fearr go hacadúil (Gallagher & Hanna, 2002). Níos éasca an tríú agus an ceathrú teanga a fhoghlaim (Cenoz & Valencia 1994). Feabhas ar fheidhmiú chognaíochta sa gcruthaíocht agus sa gcumarsáid (Bialystok et al. 2005). Bíonn scileanna léitheoireachta Béarla níos fearr ag daltaí a bhíonn ag foghlaim I dtimpeallacht an tumoideachais agus a mhúintear trí Ghaeilge na hAlban amháin, dar le staidéar eolaíochta a foilsíodh in Albain le gairid. Tá sé ráite ag duine de scríbhneoirí na tuairisce acadúla seo, gur fearr tumoideachas do dhaltaí go fadtéarmach. Dúirt Fiona O’Hanlon taighdeoir ó Ollscoil Dhún Éideann go gcreideann siad go dtagann an fhorbairt is mó ar inchinn an pháiste nuair atá siad idir seacht agus ocht mbliana d’aois agus gur féidir leo cur go mór lena teanga sa tréimhse seo. Léiríonn taighde an ghrúpa go dtugann daltaí a bhfuil an dhá theanga acu an-aird ar fhuaimeanna, ar fhocail agus ar struchtúr abairte ó aois an-óg. Dar leis an tuairisc, tosaíonn siad ag léamh níos luaithe agus is léitheoirí níos fearr iad ar an iomlán. “Spreagtar fás agus forbairt na hinchinne nuair a bhíonn ar pháistí focail a roghnú sa teanga cheart don chás ceart. Bíonn tionchar ag an bpróiseas seo ar an gcaoi a n-úsáideann siad a n-inchinn ag amanna éagsúla,” a dúirt sí. Dar leis an daonáireamh deireanach in Albain, a rinneadh sa bhliain 2001, bhí 58,000 cainteoir Gaeilge na hAlban sa tír. Ní ábhar éigeantach é staidéar na teanga sna scoileanna ann agus ní bhíonn ach dó faoin gcéad de na daltaí a fhreastalaíonn ar scoileanna Béarla ag déanamh staidéir uirthi. Pupils who learn in an immersion education environment and who learn through the medium of Scots Gaelic have better English reading skills according to a scientist study which was published recently. It has been said by one of the authors of the academic report that immersion education is better for pupils in the long term. Fiona O’Hanlon, a researcher from the University of Edinburgh, said that her team believes that a child’s brain develops most between the ages of 7 and 8 and that children can improve their language skills greatly within this time. The group’s research shows that pupils who have two languages are very aware of sounds, words and sentence structure from a very young age. According to the report, these children start reading at an earlier age and are better readers on the whole. “Growth and development of the brain is encouraged when the children have to choose the right words for the right case. This process effects how children use their brains at different times,’’ said O’Hanlon. According to the last Scottish census which was undertaken in 2001, there were 58,000 Scots Gaelic speakers in the country. The subject is not a compulsory subject in schools and only 2% of those who attend English medium schools study Scots Gaelic. Cognitive Advantages of Second Language Immersion Education. The linguistic and educational success of second language immersion education is now well established (see here). What has been less clear until recently was whether children who attend immersion programs show the same kind of advantages in cognitive skills, such as metalinguistic awareness and executive control, as do children who are early bilinguals. Metalinguistic awareness is our explicit knowledge of different aspects of language (sounds, words, syntax, and so on) and, when needed, our capacity to talk about these properties. It is crucial in the development of literacy, for example. As for executive control (also known as executive function), it is a set of complex cognitive processes that include attention, inhibition, monitoring, selection, planning, and so on. Inhibitory control, working memory, and cognitive flexibility are three core aspects of executive control. In a recent study, York University professor Ellen Bialystok and her colleagues Kathleen F. Peets and Sylvain Moreno studied the development of metalinguistic awareness in children becoming bilingual in an immersion education program. They gave different tasks to second and fifth grade English-speaking children in a French immersion program and compared their results with those of children in a regular English program. The tasks involved morphological awareness (adding correct morphological forms to nonsense words), syntactic awareness (making grammaticality judgments), and verbal fluency (generating words that belong to a semantic category or that begin with an initial letter). These three tasks differed in their need for executive control, from the least in the first task to the most in the third task. The researchers found that the metalinguistic advantages reported in studies of early bilinguals emerged gradually in these immersion children, with tasks requiring less executive control giving positive results sooner than tasks requiring more executive control. Thus all immersion children outperformed their monolingual counterparts in the morphological awareness tasks, even after two years of immersion, and fifth grade immersion program children were more accurate in the syntactic awareness tasks than their monolingual counterparts. The verbal fluency tasks began as a problem for the younger children in the immersion program (literacy instruction in English only starts in third grade) but the older children had regained the ground and performed equivalently to monolingual children. The authors concluded that the advantages previously reported for early bilingual children could already be detected in children learning another language in an immersion program. What about the advantages in executive control as such that children brought up bilingually show systematically over their monolingual counterparts? Do immersion children also show these advantages? Belgian scientists Anne-Catherine Nicolay and Martine Poncelet examined this. They tested third grade French-speaking children in an English immersion program and compared them to a similar group following a monolingual curriculum. They assessed attentional and executive skills by means of six different tasks such as alerting, auditory selective attention, divided attention, mental flexibility, and so on. The results they found showed that in four of the six tasks, the immersion children did better than their monolingual counterparts. This is quite remarkable as the children had only had three years of immersion education which involves less intensive exposure to a second language than in early bilingualism. And yet, the immersion experience had already produced some of the cognitive benefits associated with early bilingualism. The one negative finding that surprised the researchers (i.e. no difference between the two groups) concerned interference inhibition. In the task they used, the flanker task, children were presented with a central arrow pointing to the left or to the right, and flanker arrows above or below pointing in the same direction or in the opposite direction (in this latter case, the flanker arrows create an interference that has to be inhibited in order to answer correctly). Children had to concentrate on the central arrow and press a left button when the central arrow pointed to the left and a right button for the arrow pointing to the right. The authors explained the lack of a difference between the two groups by the fact that young emerging bilinguals in immersion programs (third grade children here) have not yet had much practice at inhibiting interference since they devote less time to second language production in a classroom situation than in real life. Do children who have had further experience of immersion education show better control of interference inhibition? The answer comes from a paper by Ellen Bialystok and Raluca Barac who also used a flanker task but this time in two different studies with immersion children. In the first, they tested second and third graders who attended school in Hebrew, and in the second, they tested second and fifth graders in a French immersion program. In both studies they found that executive control performance improved with increased experience in a bilingual education environment. Basically, the length of time spent in an immersion program—some of their children had had two more years of immersion than in the Belgian study—determines the extent to which executive control is affected. So the news is excellent for all those who are putting time and energy in immersion education—teachers and staff, parents and, of course, children. As Ellen Bialystok, Kathleen F. Peets and Sylvain Moreno state so nicely: “The road to bilingualism is incremental, and so are the accrued advantages”.